Gabrielle Union carried Tyler Alexandra to the 2016 ESPYS last night in Los Angeles! 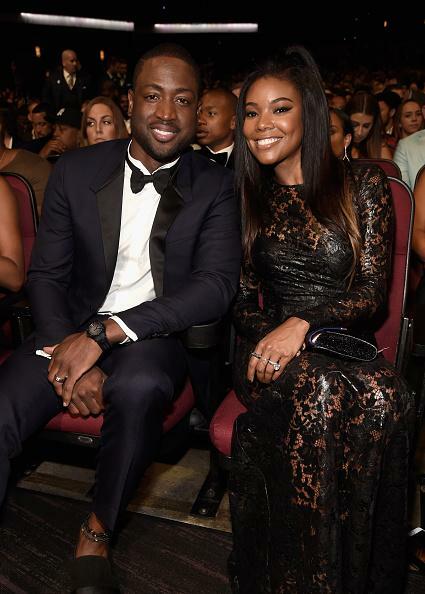 The actress shared a photo with husband, Dwayne Wade in a glittering lace gown and her Tyler Alexandra Black Crystal Lee Clutch (www.tyleralexandra.com). Looking fantastic on the red carpet. You may also have interest in seeing our previous blog post about Gabirelle at Gabrielle Union Wearing Fit & Flare Dress in Black.